We are thrilled to welcome our newest contributor Scott Wilbanks! Have you seen Legally Blonde? In one of my favorite scenes, Elle has just given Professor Callahan her resume. He’s standing in the university hallway, holding it under his nose, as she walks off. He passes it to Emmett. “Smell that,” he says. While it may not be immediately evident, the moral of the story is that Elle is above the rules, because, well… she’s Elle. She’s a fictional construct designed to entertain. As nameless, faceless, yet very real people trying to rope in an agent, we’re not above them, right? I’m not so sure. It certainly wasn’t my experience. And, believe me, with over a hundred rejections to my credit, I have a lot of it—experience, that is. We all begin at the same place. We’ve written a manuscript, we’re raring to go, but we haven’t a clue what to do next. So, we educate ourselves. We learn the rules. For example, we learn that our query letter must be one-page long, double-spaced, Times New Roman, font-size twelve; otherwise it will be frowned upon. It must contain a hook, a rip-roaring summary that distills the very heart of our manuscript in three sentences or less, a title, a word count, a genre classification, comparative titles, our platform, and a pithy introduction communicating to the agent that we’ve armed ourselves with knowledge of their inner most literary desires and are prepared to deliver on them. Oh! And despite the exhaustive restriction of all those rules, we’ve done the impossible. We’ve made our query stand out. Rules, rules, rules. As writers, we’re surrounded by them, weighed down by the sense of dread they impose—a vague feeling that breaking them will result in some sort of cosmic, professional implosion. So let’s cut a few down to size. The Cardinal Rule of author/agent interaction—one that every agent on the planet will agree with—is don’t query too soon. Sweat over your manuscript, they say. Bleed onto the page. And only when Hemingway swoons should you have the audacity to send it out into the world. Here’s the problem. With Hemingway dead and buried, how do you know if it’s too soon unless you do query? That’s a mean twist on the chicken-or-the-egg conundrum that no one really talks about. The answer is that you don’t. Family members, critique partners, and beta readers aside, you don’t. So, do the very best you can with what you’ve got, send your baby out into the agenting world, and prepare yourself for deafening silence. It’s not deadly. It’s not career ending. It’s merely… humbling. If and when a request for pages comes through, immediately prepare to be politely dressed down. That’s okay, too, because somewhere within that spanking will be the seed from which you can make your manuscript better. Do so, and stubbornly repeat the process. The second rule is even more ruthless. If you’ve queried your heart out, and gotten nowhere, the prevailing wisdom is that there is something fundamentally flawed with your writing, the engineering of your story line, or both. Perhaps that’s true, but my beef is with the second half of the premise which states that you should put your manuscript in a drawer, and start anew. Hogwash. Words can be fixed. Story lines rebuilt. Stakes can be raised. Use what you’ve written to learn the craft of writing. 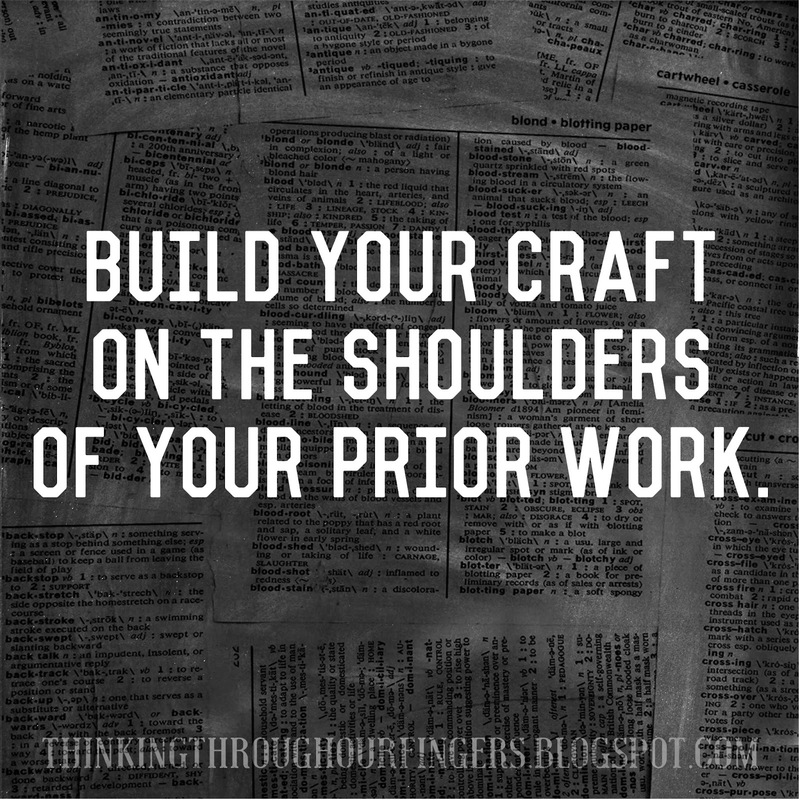 You can build your craft on the shoulders of your prior work just as easily as you can from a blank page. I don’t even know how many times I rewrote THE LEMONCHOLY LIFE OF ANNIE ASTER. It was a lot. And let me tell you, the first draft was so gawd-awful that the pages it was written on are currently on suicide watch. Moving on to the third rule. Never re-query the same agent. They will know. This is a tricky one, as it implies a number of things, the first being that your pool of agents is more fragile than finite, something to be spooned out with exquisite care lest you sabotage your writing career before it’s even begun. It also implies that your work hasn’t evolved. Worse, it makes agents too remote. They should be respected, not put on a pedestal. And, finally, it implies on some level that you have a crystal ball that will tell you the exact moment an agent will be receptive to your query. I didn’t. So, I did re-query, albeit after I felt my manuscript had improved enough to merit it, and guess what? The world didn’t fall apart, but I did end up generating requests for pages. And while it’s more an assumption than a rule, don’t be resigned to the inevitability of the slush pile. Find creative ways to reduce the degree of separation between yourself and the agent you are querying—without stalking, of course. That’s creepy. My modus operandi became webinars facilitated by agents. Writer’s Digest was my go-to place, as it fit my meager budget. If the agent reserved the right to request materials from the webinar, I was in! I’ll never forget the day I was sitting on my parents’ porch, my PC on my lap, listening in on a webinar when the agent/facilitator said, “Ladies and gentlemen, here’s an example of a query that breaks all the rules.” Her name was Barbara Poelle. Three days later, she offered to represent me. The truth is that these rules, the ones that we adhere to so doggedly, were promulgated by an iteration of the literary industry that no longer exists—one that pushed paper over email. The industry has evolved. Recognize that, and honor the intent of the rules, but listen to your gut first and foremost. Unless, of course, it’s telling you to query on pink, scented letterhead embossed with your initials. Then don’t. You’re not Elle Woods. Scott is an American expat living in New Zealand with his frustratingly perfect husband. A former national title holder in the sport of gymnastics whose left arm is an inch shorter than his right—the result of a career-ending accident—Scott ditched the corporate world to “see where this writing will take me.” He is the author of THE LEMONCHOLY LIFE OF ANNIE ASTER, a commercial fiction novel with a fantasy premise releasing August 1, 2015, that tells the story of two pen pals who are fighting against the clock to solve the mystery behind the hiccup in time connecting their homes before one of them is convicted of a murder that is yet to happen… and yet somehow already did.